Much has been written and broadcast about the 1982 Milwaukee Brewers team that lost to the St. Louis Cardinals in the World Series. To date this has been the only World Series in franchise history, so naturally there is a lot of nostalgia associated with that particular team. However, the 1981 team had great potential to make a run to the World Series, but a players strike interrupted that opportunity. 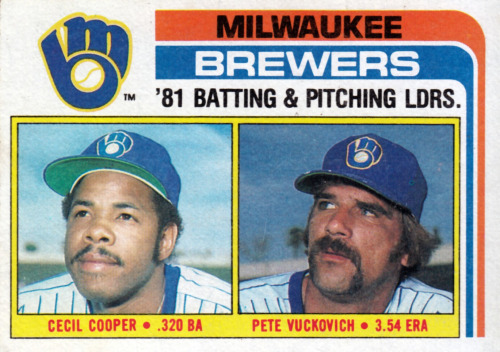 This week to coincide with the 35th anniversary of the walkout on June 12, I’m going to take a look at the 1981 Brewers team and a season that doesn’t get talked about as much as the 1982 campaign. The Brewers turned the corner in 1978 after spending the decade as an expansion (then relocated) franchise mostly spinning its wheels. A lot of trades had been executed over those early years that eventually pulled together a decent team. But it was some of the early draft choices that really paid off and helped put the team into contending mode. Guys like Gorman Thomas, Robin Yount, Paul Molitor, Jim Slaton, Bill Castro, Jim Gantner and Charlie Moore – just to name a few – all came up through the Crew’s minor league system. The young players from the system mixed in well with veterans like Dave May, Buck Martinez, Sal Bando, and Don Money. In the tough American League East division, Milwaukee won 93 and 95 games in 1978 and 1978 respectively. In 1980 they regressed a bit and fell back to an 86-76 record, well behind the New York Yankees with 103 wins and the Baltimore Orioles with 100 wins. 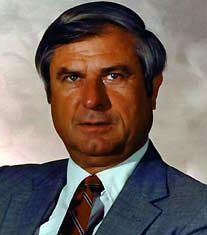 Heading into 1981, General Manager Harry Dalton knew something had to be done to improve his team, and perhaps as a result, win a few more games from the Orioles and Yankees. Milwaukee played to a 6-7 against Baltimore in 1980 and a 5-8 record with New York. They also had problems with Texas and Toronto in those two season series. Some of the thinking was if the Crew could flip 8-10 wins, they would be back in contention. Dalton made a splash at baseball’s winter meetings in Dallas with a move he believed would put the Brewers over the top. On December 12, 1980, he traded outfielder Sixto Lezcano, pitcher Lary Sorenson, and two minor league prospects – outfielder David Green and lefty pitcher Dave LaPoint to St. Louis. In return the Cardinals sent starter Pete Vuckovich, closer Rollie Fingers, and switch hitting catcher Ted Simmons to the Brewers. At one point prior to the trade, the Cardinals sat with four catchers, but traded two to San Diego as part of an 11 player deal to pick up Fingers. After signing free agent catcher Darrell Porter, it was decided the 31 year old Simmons would move to first base. This idea didn’t go over well with Simmons, who then asked for a trade and used his veteran veto power over any transaction to force St. Louis to sweeten the deal with compensation money. No matter how it played out, the Brewers filled three big holes on the big league roster. Dalton acknowledged the team didn’t need Green right away because they had a solid major league club, so he could be traded. His main target was Fingers, but was happy when Simmons came available and even happier when Vuckovich was added into the deal. Bud Selig called the deal the best trade the team ever made. So they headed into spring training with high hopes of bringing home a pennant. But the Major League Baseball Players Association had other ideas for the 1981 season. They voted unanimously on May 29 to strike. Trouble had been brewing for some time over free agent compensation. It was an issue that had never been resolved. The deadline had a brief extension, but a full walkout eventually happened on June 12. It was the fourth such stoppage since 1972. The owners wanted compensation when they lost a free agent to another team. The players wanted a high value to remain on free agency and felt that compensation would strip such a value. So they walked and didn’t play for seven weeks – roughly 38% of the schedule – until the sides reached an agreement on July 31. While the players called the strike, owners were given the blame by most media and fans. Owners had been paying big contracts in the previous four years to top stars because they thought these big name players would be lost in the free agency reentry draft. The strike was ultimately solved by a compensation pool of unprotected players from all teams. So if say, the Brewers lost a so-called “premium” player to free agency, they could draw from the pool. The players agreed to free agency for players with six or more years of service only. When the walkout started, the Brewers had a 31-25 record, which left them in third place behind the 34-22 Yankees and 31-23 Orioles. The big question was if the teams would pick up where they left off in the standings, or if another format would be used. The owners agreed to use a split-season format like the minors. The winner of the first half would play the winner of the second half in each division, or a wild card (second runner-up) would be selected if the same team won both halves. The first playoff round would be a best-of-five divisional playoff, and the second round would be a best-of-five League Championship Series. But there were problems in such a format. In the minors if a team wins both halves, they get a bye in the first round. Without such an incentive, the first half winner could take it easy in the second half, knowing they already had a playoff spot. A team could conceivably not win their division in either half, but still walk off with the best overall record. In fact, this did happen for the Cincinnati Reds and St. Louis Cardinals. Meanwhile the Kansas City Royals had an overall losing record of 50-53 and finished fourth in the AL West, yet still made the playoffs. With their spot in the playoffs sealed, the Yankees took the second half off and came in sixth with a 25-26 record. The Brewers cruised to the top of the East with a 31-22 record. Looking at overall marks, the Crew finished 62-47 with the Orioles just one game behind. The Yankees and Tigers finished two games back and Boston was 2 & 1//2 out. Of course we’ll never know how a full season might have played out for the Brew Crew. They had won 4 of 6 games from Baltimore and played even (3-3) against New York in the shortened season. While the Yankees held a couple game lead when the strike hit, it’s hard to say if that would’ve held up over the long haul. And of course in such a tough division, you can’t overlook Baltimore, Boston, or Detroit as potential pennant winners. The Brewers had no shortage of great performances that season despite the strike. We can only speculate what numbers might have been turned in with another 50+ games played. Gorman Thomas led the team with 21 homers and Ben Oglivie had 72 RBI’s. Cecil Cooper had a monster year with a .320 batting average and 133 hits. He earned a Silver Slugger award for his efforts. On the pitching side, Pete Vuckovich became an instant fan-favorite with a 14-4 record. Vuke led the starters with a 3.55 earned run average and 84 strikeouts. Moose Haas and Mike Caldwell followed him with 11 wins. 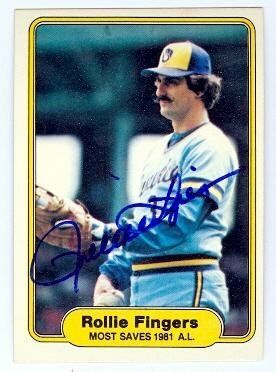 Rollie Fingers was lights out with 28 saves and a stingy 1.04 ERA. With his performance, Fingers became the first relief pitcher in the history of the American League to win the MVP award. He also won the Cy Young award. The Brewers met the Yankees from October 7-11 in the ALDS. New York took the first two games by scores of 5-3 and 3-0. Both games were played in Milwaukee County Stadium and were closer than the final scores. In game two a decision was made to let Mike Caldwell pitch the ninth inning with a 1-0 score. He gave up a two-run homer to Reggie Jackson and the Yankees used closer Goose Gossage to shut the door (although he would have been called in anyway if the game had remained 1-0). The series shifted to New York, and the Brewers won game three and four with final scores of 5-3 and 2-1. These were the first postseason wins in franchise history, and were huge considering the Yankees had game three tied 3-3 after seven innings – which was an excellent opportunity to put the Brewers away. Milwaukee won the game on a leadoff homer from Molitor in the eighth inning and a save from Fingers. The Yankees won game five by a score of 7-3 and the overall series. The Brewers were bidding to become the first team to come back from a two games to none deficit with the first two losses coming at home. Unfortunately Moose Haas was roughed up on the mound in the only series game that wasn’t really close. The Brewers actually led 2-0 until things unraveled for Haas in the fourth inning. The fourth was a tough frame throughout the series, as the Yankees scored 10 times in that inning overall. The Yankees eventually met the Los Angeles Dodgers in the World Series, which was their third meeting in five years. The Dodgers won the series in six games, four games to two. Meanwhile, with playoff experience under their belts, the Brewers shifted their focus toward winning the pennant in 1982.